Content marketers have a big challenge: continuously filling their content pipeline with fresh, insightful, and relevant information. Your target audience expects it and turns to trusted sources when they need to search for answers and seek insights. Whether or not that’s your brand depends on the quality of your content. Moreover, brand managers and product marketers depend on continuing information streams. After all, content marketing is the principal method for connecting with buyers to reinforce brand messages and build awareness in the digital age. But more than that, content marketing helps you build relationships. Good content marketing establishes trust with your audience by offering them informative and entertaining content without asking for much in return. Psychologically, we’re all much more willing to engage and buy from someone we like and respect than someone we don’t. However, few content marketers have the wherewithal to develop all the content their organization needs on their own. According to Curata’s research study conducted on over 500 marketers, leading content marketers are developing 65% of the assets in their program, curating 25%, and syndicating the remaining 10%. With content curation, marketers can find, organize, annotate, and share the most relevant and highest quality digital content on a specific topic, produced by third parties yet relevant for their target audience. Not to mention, your buyers consume content from multiple sources for different points-of-view, so content curation provides them with unique perspectives. Unearthing great content from a variety of sources—even your competitors on occasion—can also be a highly effective way to build your credibility and trust as an unbiased thought leader. Curating relevant collections adds additional assets to your content mix such as videos, podcasts, cheatsheets, worksheets, and infographics. These can help enhance engagement with your target audience, particularly when it’s deployed on different channels. For example, we’ve seen that infographics work well on Facebook, where they are a great prompt for comments. It’s also extremely easy for people to share, retweet, and otherwise promote your curated content on social channels, which they are more likely to do if you curate something entertaining or insightful and easy to digest. Content curation helps fill up your editorial calendar without the same investment needed to create original content. It’s usually a lot faster and easier to find and annotate content than it is to research and write it—particularly if you use content curation software, which automatically crawls the internet for relevant content and brings it to you. To produce content on a consistent basis, consider curating content at least once a week. Even if you send a weekly rather than daily newsletter, it’s good practice to curate on a regular basis to break up your workload and ensure that your site is refreshed with new content. Curated content expands the mix by collecting and organizing content from diverse sources and in multiple formats. It allows you to offer a wider variety of perspectives than only tapping in-house resources. Even industry giants benefit from adding content curation to their marketing mix. It helps establish them as industry insiders and thought leaders, complements their social media marketing, and also attracts influencers who may contribute to the site. Content curation is not as time or expertise intensive as developing original content, so fewer resources need to be allocated to enjoy its benefits. 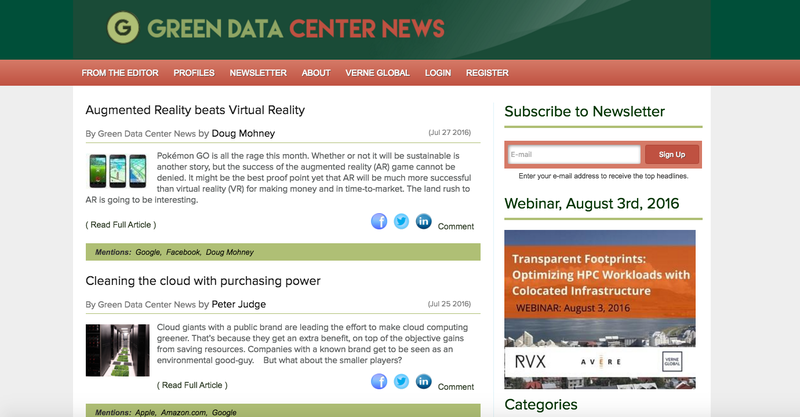 A data center company based in Iceland, Verne Global, used content curation software to create their content hub Green Data Center News. 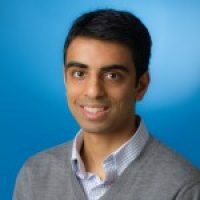 This site enabled their small team to save over $100,000 in expenses for outbound marketing staff and website development, connect with prospects on a daily basis, and easily get global press coverage. Content curation augments your existing expertise by referencing external sources, reducing the need for investing in new content development. For instance, perhaps you’ve hired a journalist for your team who is an excellent writer and editor, but not (yet) a subject matter expert for your industry. Once they read the top publications and blogs in your industry, a smart journalist will know enough to recognize and curate great articles by others with more expertise—saving you the expense of hiring a subject matter expert. Curating content can increase the consistency of a production schedule, requires fewer resources than developing original content, makes it easier to offer more engaging content, expands the expertise pool available, and opens up the variety of content—and perspectives—available for publishing. It’s one of the most effective tools available for dealing with many of today’s content marketing challenges. Have you started curating content for your organization? Share your tips and tricks below.